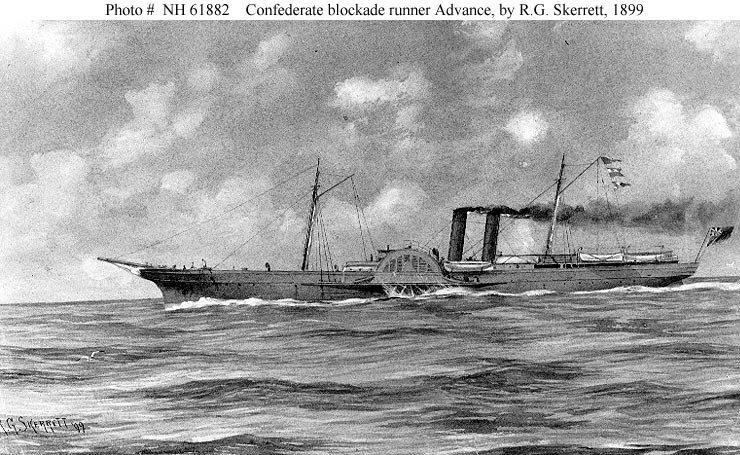 Sold, 1 October 1883, to J. P. Agnew of Alexandria, VA.
83k Confederate Blockade Runner Advance at Nassau, New Providence, Bahamas, in 1863. She is flying the Confederate First National Flag aft. 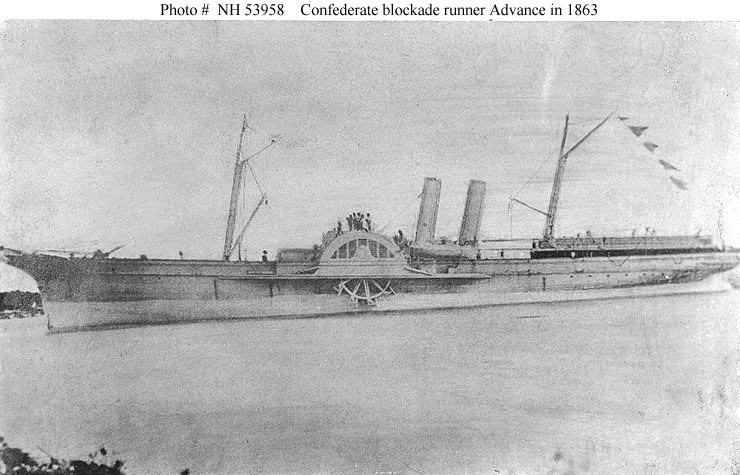 Note her feathering paddle wheel. 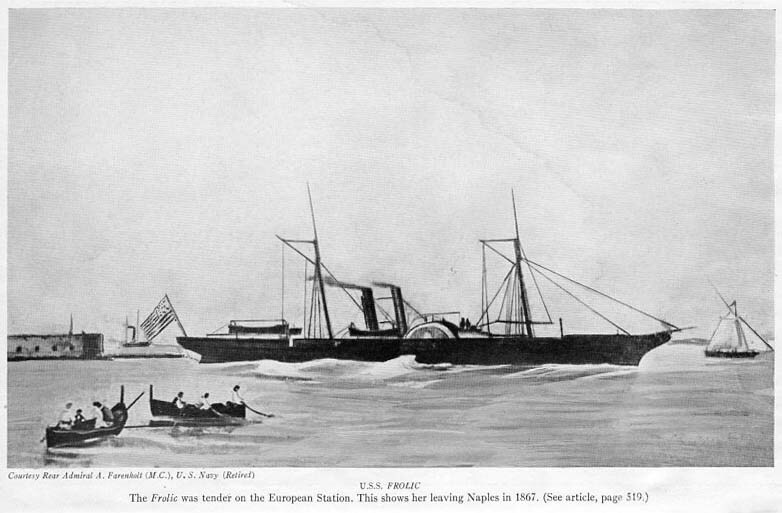 52k Watercolor of USS Frolic by Erik Heyl, for use in his book "Early American Steamers", Volume III. Courtesy of Erik Heyl. 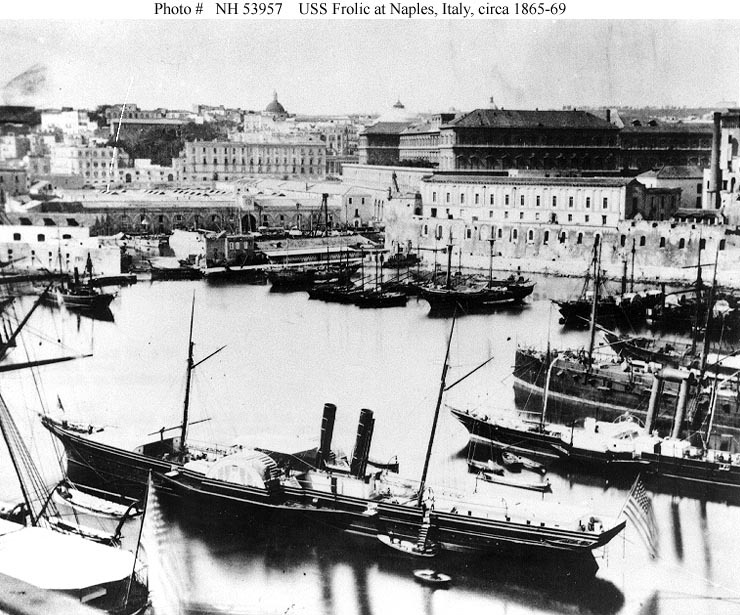 131k USS Frolic at Naples, Italy, circa 1865-1869.